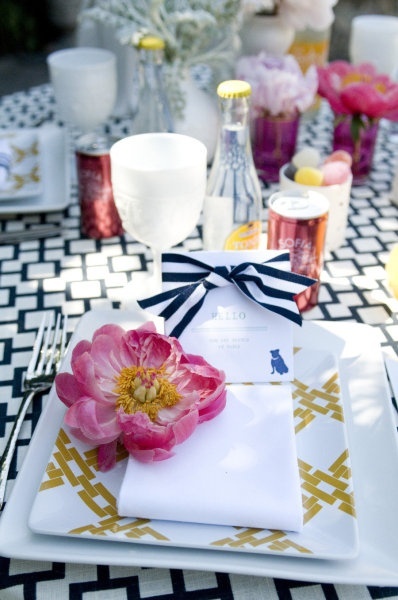 Just loving house parties or get togethers as I like to call them this week and for this week’s inspiration of the day I am going to show you some really lovely house party tablescapes! 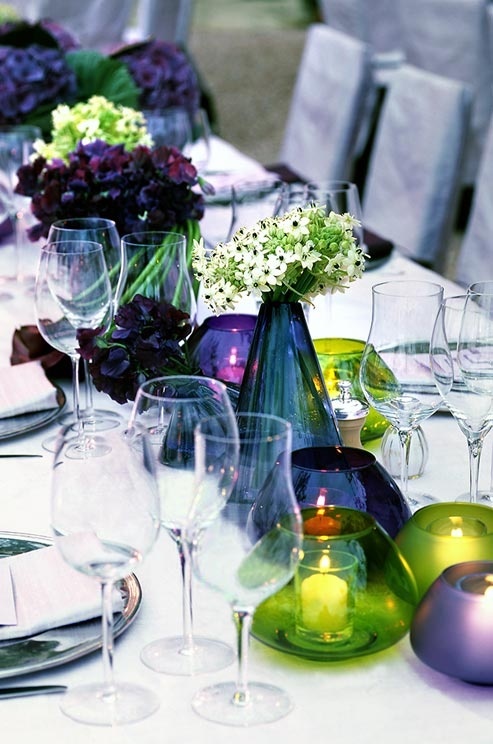 Your home can be one of the best event venues you can have and today’s purple and gold dinner party inspiration totally shows this. Isn’t this color palette just amazing? I totally adore it Let’s start with the centerpieces. A great combo of purple and white blooms that are full and beautiful look great is a clear household vase. 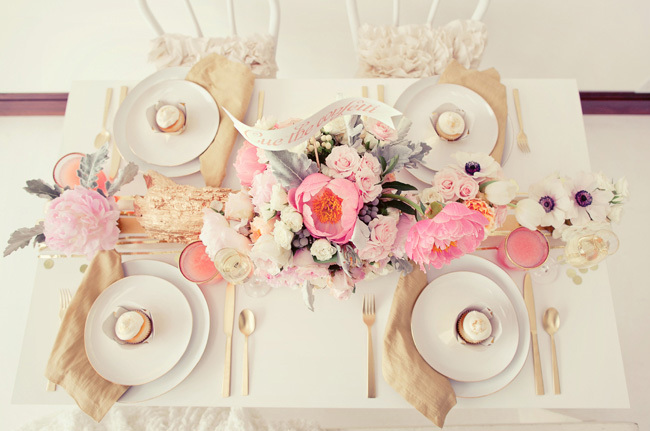 I just love the runners going width wise on the table to each place setting too! The cupcakes and confetti are just so lovely too and scream party! 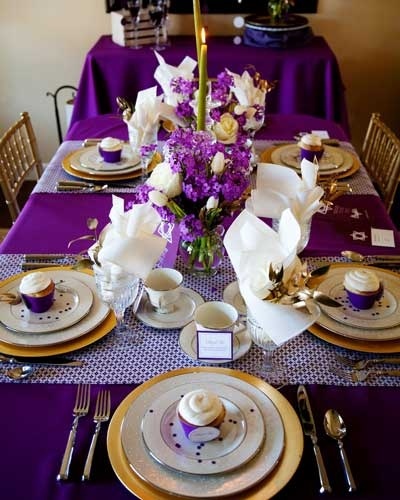 I think this purple and gold dinner party table is also perfect for a birthday or even new years party.